‘Very depressing telegram from Foreign Office. Sent off long telegram re Trotsky. The other day Pravda published ail the documents against Trotsky and Lenin which they had been able to find, including some of English counter-espionage section! They are sportsmen!’ This is from the diary of Bruce Lockhart, born 130 years ago today, who, at the time, was the young British envoy to the new Bolshevik regime in Russia. Later, he would write an international bestseller about his time as a British secret agent. He lived a colourful life, reflected in his diaries. Soon after his death, these were condemned as highly libellous by the modern historian A.J.P. Taylor, but, nevertheless, were edited for publication in the 1970s. Robert Hamilton Bruce Lockhart was born on 2 September 1887 in Anstruther, Fife, the son of a teacher. After attending various schools where his father was headmaster, he was educated at Fettes College in Edinburgh. He was sent to Germany and France to learn foreign languages. Aged 21, he travelled to Malaya with an uncle who had rubber plantations, and was charged with opening a new rubber estate near Pantai. After three years, and a torrid affair with a local princess, he contracted malaria and was sent home. He joined the civil service, and by 1912 had been appointed a vice-consul for the British delegation to Russia in Moscow. In 1913, while in Moscow, he married Jean Bruce Haslewood, and they had a daughter who died at birth and one son; the couple, however, soon became estranged though did not divorce until 1938. In Moscow, Lockhart was promoted to consul-general, and was in Russia when Nicholas II was overthrown. However, after returning to London, he was sent back to Russia by Prime Minister Lloyd George as the country’s first envoy to the Bolsheviks, but he was also tasked with setting up a spy network. In 1918, after an attempt on the life of Vladimir Lenin, the Bolshevik leader, he was arrested, imprisoned for plotting against the Bolshevik regime, and feared being sentenced to death. However, after a month he was released in exchange for Maxim Litvinov, the unofficial Bolshevik ambassador in London. Lockhart continued working for the Foreign Office, with a posting in Prague, until 1922, and then took in a job in banking which involved much travel through Central Europe. Having already started to contribute articles and gossip items to London newspapers, in 1929 he decided to accept a job offered by Lord Beaverbrook on the Standard, a position he kept for nearly ten years. In 1932, he published his first book - Memoirs of a British Agent - which was an international bestseller; several more books followed in the 1930s. He became something of a personality, counting among his friends many well-known political and literary names of the time (Harold Nicolson, Malcolm Muggeridge) as well as high society figures, including royalty (Edward Prince of Wales). 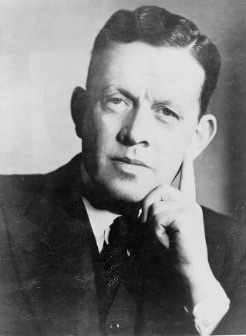 During the Second World War, Lockhart served as director-general of the Political Warfare Executive, coordinating British propaganda against the enemy, but as soon as the war was over he returned to writing, broadcasting and lecturing. He was appointed Knight Commander, Order of St. Michael and St. George (K.C.M.G.) in 1943. In 1948, he remarried (Frances Mary Beck); and he published several more books in the 1950s. He died at a nursing home in Hove in 1970, and is not much remembered today. Some further biographical information can be found at Wikipedia, Spartacus, Spy Culture (where the full text of Memoirs of a British Agent can be read), or The Oxford Dictionary of National Biography (log-in required). Lockhart was a committed and compulsive diarist, leaving behind some 200 volumes containing an estimated three million words. These were initially held by the Beaverbrook Library where the Honorary Librarian, A. J. P. Taylor in the mid-1970s, declared they were highly libellous and should be destroyed. They are now housed in the Parliamentary Archive, in the Houses of Parliament library. In 1973, Macmillan published The Diaries of Sir Bruce Lockhart: Volume One 1915-1938 as edited by Kenneth Young. A second volume (1935-1965) did not follow until 1980. A review can be read at The New York Times. The following extracts are taken from the first volume. ‘Arrived in Petrograd. Lovely day. Stayed at Petrograd. Rang up Cromie. . . Feeling in Petrograd quite different from Moscow. Altogether quieter and further removed from the struggle. Anti-Bolshevism very strong and hardly concealed. At the cabaret jokes were made at Bolshevik expense which would not be tolerated in Moscow. ‘Beaverbrook’s shares have gone up to 270. Saw Sharp of the New Statesman. He very strongly advises me not to join Beaverbrook. ‘Lunched with Beaverbrook and then came up to London with Jean Norton by car. . . In evening dined with Hugh Walpole at Arnold Bennett’s house, 75 Cadogan Square. Arnold Bennett very kind about my book. Michael Arlen, T. S. Eliot, the poet and editor of the Criterion, E. Knoblock, also there.